Nebraska’s most recent snow storm created the most beautiful backdrop for a Sunday morning shoot at Zorinsky lake. Add in the warmth these two lovebirds share and we barely noticed the 28 degree temperature. Cole’s MILLION dollar smile, Tyree’s natural beauty, and the love and affection these two share gave way to an easy, natural and relaxed morning. My goal was to simply capture the respect and admiration these two share for one another. Between walking through the snow capped trees and wading through ankle deep fields, we made sure to have fun and enjoy the moment in nature, which is definitely their element. And can we just take a moment on this next one. Thanks for the fun, Tyree and Cole! Cheers to July 4th in Colorado! Colorado, Wyoming, Nebraska: Oh My! Thanks to a little winter planning; Tyree, Cole, Clint and I made our way to the Colorado Rockies to spend our 4th of July week. And what a trip it was! Tuesday, July 3rd: Destination Ogallala, NE. We chose to split up our journey to the mountains and landed on Ogallala, NE as destination #1. The group left in waves due to varying schedules with Clint rolling out at noon, Cole shortly before 4 and Tyree and I shortly thereafter. Hot as hell (the trend for my long distance rides this summer have been accompanied by 97 degree + weather) but an easy ride, Tyree and I made our way into town right around 9pm. Hungry and thirsty we met the boys at the Front Street Saloon and Restaurant. This destination continues to wow crowds with their stage shows, shoot-outs and old western charm. Definitely a stop worth taking, but be sure to check their schedules of events so you can see the action. Our waiter, Josh, was a charmer. Around 9:30 we headed towards our campground where Clint had already set up our tents. At this point, we had a solid view of the incredible lightning show off to the west. The radar told us we’d miss the rain, but as we arrived back to camp, we all made the collective decision to throw on our rain tarps, just in case Mother Nature decided to play games. And games she played. Just as we were finishing up tying down the rain gear, the wind showed up, the rain came in and shelter we sought. There were a few moments where I questioned not only our bikes abilities to stand up to the wind but also our tents ability to bounce back, as I stood in the corner, getting wet and holding the tent from collapsing inward. The ride into Colorado was absolutely beautiful. We had a break in heat and the moment we rolled into the mountains we were met with a slight rain shower, but cleared up relatively quickly so we were able to take in the pristine views and breathe in that mountain air as we made our way to Georgetown, CO. Once in Georgtown, we made our way up the mountain a good 30 minutes to our camp ground. Guys, I didn’t take many photos of our camping location, and for that I am kicking myself. We had a running stream right next to our tents that certainly provided the perfect background for a deep slumber. Once camp was up, we headed back down to Georgetown to take in the 4th of July celebrations and grab a bite to eat before heading out to Mount Evans. Mount Evans is the highest paved road in North America and is typically only open to vehicles from Memorial Day to Labor Day due to the snow. The roads towards the top begin to change into a steady stream of switchbacks and narrow passageways which requires all traffic to play nicely and be on the lookout for one another. And once at the top… the views. Guys. The views! Cole and Tyree are not phased by heights. Not at all. Me on the other hand made sure to have full body contact to the rocks, at all times. Oy. Even just looking at these photos makes my knees weak. Photos are pretty deceptive. It appears the snow in the lower left hand corner is a hop, skip and jump away. It most certainly was not. That would be a definite plummet to eternity. After playing on the rocks, we made our way back down to “safe grounds” to enjoy the sights and mountain wildlife. As we were wrapping up and taking a few last photos, Tyree called in Cole for a quick selfie. Knowing how much Cole ADORES selfies, I took the opportunity to poke fun of him by taking a photo of their selfie. Let me give you a little background. Clint, being Clint, has titled every single trip or adventure that Tyree and Cole have taken these last two years as their “engagement trip”. A constant banter that he maintained religiously. For the Colorado trip, Cole was uncertain if he would be able to attend due to the rigorous school work expectations he was (and still is) under. It was literally 24 hours before we departed that he felt confident enough that he could take a few days away from his studies and join us on our trip. It was also in that 24 hour time frame that he came into official possession of the custom (and insanely beautiful) ring he had designed for Tyree. is now a real thing. Back down the mountain we carefully went and onto Black Hawk, Colorado for dinner and fireworks to close out our late evening. I will say, caravanning back up the Georgetown mountain to our campsite was a treat. Tyree and I enjoy getting ourselves into questionable nighttime predicaments, apparently. FREEZING. Tent camping, in the mountains, at a high elevation equals two things: You are going to get rained on and you are going to be cold. The original plans for our vacation had us riding several mountain passes for the entirety of Thursday, resuming our camping in Georgetown and Friday a ride through the mountains down to Colorado Springs to hike Manitou Incline (for Tyree and I). Unfortunately, Mother Nature had better ideas and the forecast showed two solid days of raining. Riding in the mountains is one thing. Adding in rain is another, and it isn’t a favorable one. So, we altered our plans, packed up camp and headed towards the Rocky Mountain National Forest, by way of Grand Lake. Do me a favor and pay the $25 fee (each vehicle) to ride through the National Park and up the mountain. Breathtaking. Literally… I got a little lightheaded after a hairpin. Can we call that experience a Rocky Mountain high? Woah. There were some prominent internal reminders to breathe deeply and often from there on out. Riding up a mountain provides you with all of the weather elements. T-shirts at the base, sweatshirts mid-way, leather jackets at the top. Riding above the tree line where trees can no longer survive was quite the experience. We didn’t stop for much once on the descent because it was just too breathtaking to want to stop but traffic was also thick and trying to find a stopping point for all three motorcycles and one truck was next to impossible. Plan several hours to make your way up and back down the mountain. Next stop: Estes Park for some Smokin’ Dave’s BBQ where we met friends Dustin and Corrine for lunch before making our way towards Fort Collins by way of some incredible mountain base passageways, courtesy of Dustin’s leading. We spent the rest of the afternoon taste-testing beer at a local brewery before closing out the evening at Thunder Mountain Harley Davidson bike night. Cole left for Omaha around 4am and so around 8am, Clint, Tyree and I said our good-byes to Dustin and Corinne (thanks guys for hosting us stinky bikers) and headed the 65 miles to Laramie, Wyoming for breakfast at the cutest townie café: J’s Prairie Rose Café. We split a monster cinnamon roll, because you can’t NOT order a cinnamon roll at a mom & pop café, filled the rest of our bellies with traditional breakfast staples before continuing our SE Wyoming exploration to Cheyenne, Wyoming. Once there we rode through the town to say we had officially explored what it had to offer before landing our bellies at a bar for a lunchtime beer. And then on we went into Nebraska towards the historic western migration landmark: Chimney Rock. We entered the visitor’s center and watched the 15 minute historical video detailing the importance of the landmark and were able to explore the walking exhibit of many artifacts and photos further detailing the events and way of life for pioneer travelers. It was educational and quite interesting. A must if you find yourself on the western end of Nebraska. And then it was North East to Alliance, Nebraska for the famed Carhenge exhibit. I laughed loudly after reading the brief plaque on how Carhenge came to be. It sounds like another Pirtle family gathering where a lot of beer is drank and bad decisions made. Clint couldn’t help but take a moment to mock Cole. Anything for a laugh. Dinner at a local Mexican restaurant before making our way to the Nebraska National Forest where we set up our tents, drank some beers and reminisced about the amazing things we had experienced over the last few days. With a beautiful sunrise leading our way, we headed out for 90+ miles to another small town community for a warm café style brunch before embarking on the remaining 4 hour journey back to Omaha by way of Nebraska windy roads and rolling hills. Tyree made it a point to take us on the most scenic route from Central Nebraska to home and she did great. We were in absolutely no hurry to end this vacation. We changed our original plans significantly from what we had set out for, but we had an incredible time and honestly wouldn’t have changed a thing! It was perfect the way it was. And we absolutely CANNOT wait to go back next year over the 4th of July. This time we will be spending an entire week exploring the mountains and my heart could absolutely explode at the thought. But for now, I will settle on the skiing trip I just booked us for February. It all started summer 2017 with this girl, this bike and a camera I had received as a gift nearly three years prior. I didn’t completely know what I was doing, and I certainly still don’t, but I knew I wanted to try and capture a few photos of Liz with her bike. And what started out as a fun night of unknowns, turned into a hobby worth exploring. But not for reasons you might think. I am connected to many influential, intelligent, beautiful, gracious and inspirational women. Add to the equation a woman who rides her own motorcycle and you end up with a pretty powerful subject. According to the Motorcycle Industry Council, the number of women riders in America is growing daily. In fact, in 2015 female motorcycle owners made up 14 percent of the industry. In 2003, an estimated 9.6 percent of the motorcycle owners in America were women, which shows us an increase of over 50 percent in 10 years. Slightly more than 17 percent of Gen X owners (born from early 1960 to mid-1970s), and 17.6 percent of Gen Y owners (born in the 1980s and 1990s) are women. Among Boomer owners (born between 1946-1964), women make up 9 percent. We are a highly educated group as well! 47 percent of us have a college or post-graduate degree. Before I knew it, one session turned into another and another, and with those sessions I started to grow in my confidence, abilities and knowledge. Each shoot I critiqued and analyzed to find something new to take away, whether it was a new technique or studying the settings I had used to get the desired outcome. I fully invested in studying aperture, ISO and shutter speed and how they intertwine. The importance of angles and subject placement started to take shape. The positioning of the sun and the effects it had on the shooting range was an eye opener for me. Using natural light to enhance the subject while avoiding unappealing shadows or bright, nearly drowned out spots, can be tricky depending on the time of day and location. I started to work on the concept of depth and subject placement in order to get the end result desired, whether it be a bold, loud full landscape statement, or a naturally blurred or bokeh effect background with the focus on the subject. I have learned so much, and have so much yet to learn. I don’t want to be a hobbyist who is a simple “point and shoot” type. There are plenty of “photographers” out there. Anyone with a fancy camera can wave their hand in the air. Am I a professional photographer? Absolutely not. Do I want to be? No. Am I trying to be? No. I am enjoying learning a fun hobby while working toward producing products for people that have a look and feel of minimal effort, but polished and a semi-professional edge. But, my dear friends… it’s more than that. Those influential, intelligent, beautiful, gracious and inspirational women I am fortunate enough to know? I want you to see them too. And I want them to truly see it in themselves. I want to help boost confidence in the individuals in front of my lens. I want them to own and embrace what makes each of them unique. I want to pull out the happiness and joy these girls exude and put it in print for the rest of the world to experience. I want these girls to feel pride when they see themselves in print. I think I found my niche. I look forward to the spring months ahead where I hope to hit the ground running with more opportunities to capture photos of not only my friends with their bikes, but also to the many other strong, powerful women (and men) out there riding their own. When you are ready, so am I. Feature #1 in the We Grow As One series comes from Courtyard Ink. Brad and Steve pulled through on my order and even placed an EMERGENCY order with a 24 hour turnaround time when I had a few extras the last second. Courtyard Ink was established from a variety of unique circumstances: college entrepreneurship class, a buddy’s basement, a heat press, a final project and a first customer. From 2008 to now, Courtyard Ink has seen a move from a basement to a few storefronts to where they currently reside on 1415 North Saddle Creek Road. Courtyard Ink has built a solid reputation by simply being one of the best in the screenprinting and embroidery business. Through word of mouth, old school networking and advertising and repeat customers, Brad and Steve have created a solid foundation to which business will continue to grow. I am a prime example of a first time customer turned repeat. Courtyard Ink specializes in screen-printed or embroidered apparel, so if you are in the market, I encourage you to go see them for your next order. You can find one or both of the guys there Monday -Thursday from 9-5 or Friday from 9-4. They value their time with family and friends so weekends are locked tight to personal downtime. I commend them for that decision as I strongly believe that in order to have a successful business, you have to remember to take care of yourself as well. It’s nice to see these entrepreneurs figured that out early on. What’s next for you and your connection with Courtyard Ink? Thanks, Courtyard Ink for the stellar customer service and great product. We look forward to seeing continued success and growth. This post is part of the We Grow As One series highlighting our community, small businesses and the people behind them. 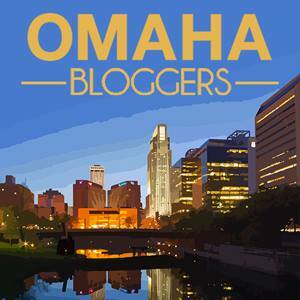 First National Bank of Omaha is sponsoring this series of posts, but all words are mine.